. 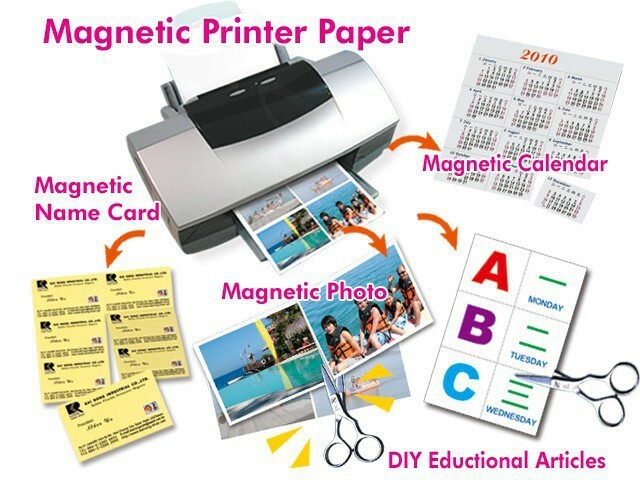 Material: Rubber magnet sheet, high-quality semi-gloss photo paper . Size: 297×210(or other customized sizes) . 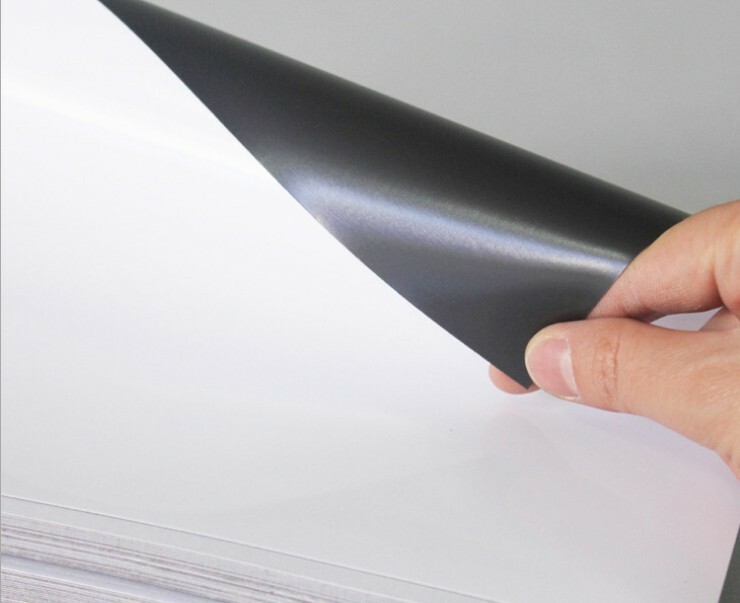 Color: black on UV protected magnet surface, white on glossy/semi-glossy surface . Magnet: magnetic on UV side, permanent magnetic . Packing: 10 sheets . Use: print with ink jet printer, could be stick on iron surface, e.g. : regular white boards, fridges, iron doors etc. Warning: For use with ink jet printers only. 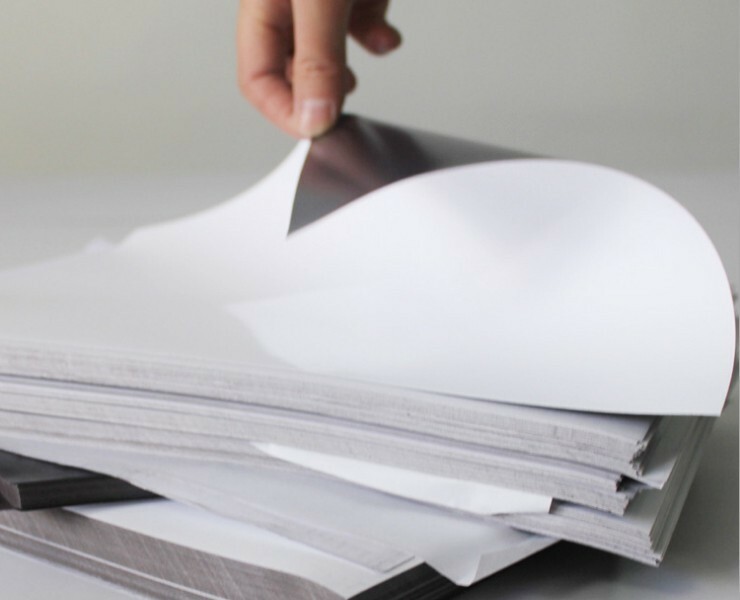 Using with a laser printer may damage the printer. Third time buying from it. Works great.